We are a family owned auto repair shop and have been serving Logan, UT and the surrounding areas for more than 30 years. Transportation Repair is a clean and efficient shop with friendly office staff to make your service experience hassle-free. We only employ master level ASE certified auto mechanics and use top of the line tools and equipment to work on your vehicle. Our mechanics are certified and experienced at performing all repair work whether it be routine maintenance like oil & filter changes, brake repair, and wheel alignments, or more complex services like car a/c repair and transmission repairs. We understand that sometimes car repairs can be stressful and we do everything possible to make our customers feel welcome, comfortable and satisfied with their service experience. Honesty and expertise are what you get every time you reach out to us. Our techs are always waiting with the truth about your auto services. With an unmatched skill set, advanced equipment, and a commitment to excellence, Transportation Repair is here to make your road travel a lot easier and a lot more reliable. With our years of experience and professionalism, you are sure to have the best possible experience at our shop. Your vehicle receives the service and attention it deserves, and we make sure you’re never left in the dark when it comes to vehicle performance. Nothing makes our techs happier than sending owners away in a better condition than when they arrived. We’re not just taking care of a vehicle, we’re taking care of the drivers too. Valuable information is shared with our customers to help them stay at peak performance after they leave our facility. Owners should be fully aware of all the best practices and maintenance requirements for their vehicle. Our team while getting the best possible service on your vehicle. We guarantee all of our work at least 12,000 miles and 12 months depending on the quality of part that you choose! 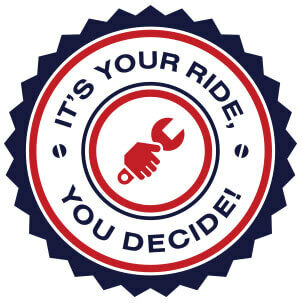 “It’s your ride, you decide!” At Transportation Repair, we know how busy you are and we want to help keep your car in optimal condition. We offer free service reminders when it’s time for maintenance. Don’t worry, we’ll remember scheduled service appointments for you! Give Us a Call–Or Stop By Today! Today’s a great day to stop by for our quality auto repairs, vehicle inspections, and maintenance services. Your convenience is our top priority, and we want to fit into your schedule, not vise versa. We are happy to offer early bird and night owl drop box service along with free local shuttle service to your home or work. If you have any questions about the services we provide or want to learn more about your vehicle’s maintenance, please contact us at 435-752-0488 or visit us at 924 W. 400 N. Logan, UT 84321. We are also the preferred maintenance and repair facility for UPS, FEDEX, FRITO LAY, USPS and several other smaller fleet vehicles.